Qingdao aka Tsingtao is in Shandong province. It's a major seaport, naval base, and industrial center. And don't forget it's the base of Tsingtao beer. 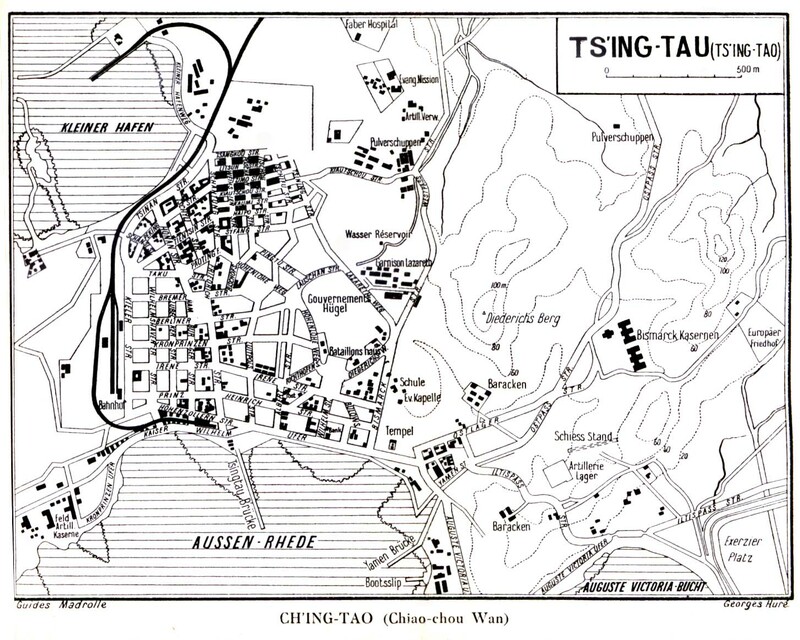 Ching Tao Map 1912Old map of the period that the Germans were in charge in Qingdao. Qingdao MapGlobal map of Qingdao. Includes some landmarks. Qingdao Map IISmall map of Qingdao center including the landmarks. Qingdao AttractionsOverview of the main attractions like museums, parks and historical sites. Qingdao Expat CommunityAll you need to know about expat life in Qingdao. Includes events and city info. RedSTARShangdong Expat Magazine. Includes classifieds, restauants, maps, forum and events. Thats QingdaoCurrent information on Qingdao Restaurants, Bars, News (in English), and living in Qingdao. Qingdao GovernmentIncludes government news, investment and tourism. J & M RealtyProvides residential and commercial real estate and relocation services. Olympic sailing in 2008 will take place in the city of Qingdao. Olympic Sailing 2008Sailing 2008-Sailing Committee (Qingdao) for the Games of the XXIX Olympiad in 2008. Includes news.